New investigation into 38 Studios? 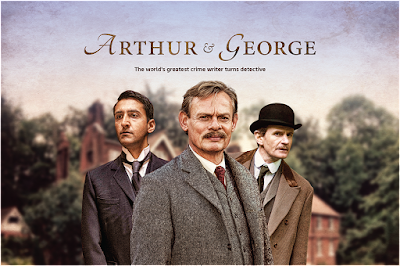 State Police Report and Mayor Allen Fung "Ticketgate"
In Arthur & George, Martin Clunes (Doc Martin) stars as Sir Arthur Conan Doyle, the creator of Sherlock Holmes, in a real-life case that inspired the great author to put down his pen and turn detective. Tracing a string of notorious animal mutilations alleged to involve an attorney named George Edalji, Arthur & George airs in three gripping back-to-back one-hour episodes on MASTERPIECE, Friday, September 25 starting at 8 p.m.
Co-starring are Arsher Ali (The Missing) as George Edalji, a mixed-race solicitor living in the English Midlands; Art Malik (Upstairs Downstairs) as his Indian father, an Anglican minister; and Emma Fielding (Cranford) as his Scottish mother. Also appearing are Charles Edwards (Downton Abbey) as Alfred Wood, Sir Arthur’s private secretary; and Hattie Morahan (Sense and Sensibility) as Jean Leckie, the woman that Doyle befriended while his wife was gravely ill.
Arthur & George opens with the illness and death of Doyle’s wife, Louisa. Sir Arthur is at a low ebb-until he receives a letter from the recently paroled George, who wants the world-renowned author of Sherlock Holmes to help him clear his name so he can resume his legal career. The Edalji case saw an improbable defendant, mild-mannered lawyer George Edalji, convicted for mutilating a pony and, by implication, a host of other farm animals in a slashing spree known as the Great Wyrley Outrages. The anonymous misdeeds also included poison pen letters and intimidation aimed, oddly enough, at George’s family. Arthur & George is adapted from Julian Barnes’s acclaimed novel of the same name, which was a finalist for the Man Booker Prize, the most prestigious literary award in the English-speaking world. 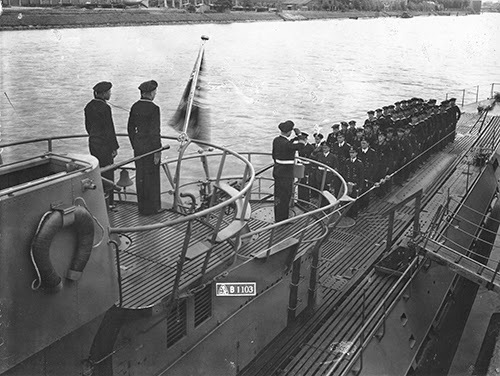 Rhode Island PBS proudly presents our Emmy Award-winning documentary, Wake of '38 on Saturday, September 19, 2014 at noon, and on Sunday, September 20 at 6 p.m. and Saturday September 26 at 11 p.m., as part of our ongoing series Rhode Island Stories, a collection of local documentaries about the people, places and events with a strong local connection on WSBE Rhode Island PBS. 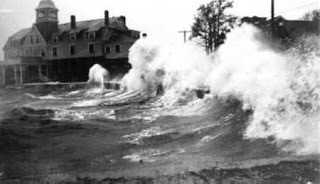 The film also airs on WSBE Learn Tuesday, September 22 at 8:00 p.m.
An annual "fan favorite" among our viewers, the film marks 77 years since the devastating hurricane and 37 years since the WSBE Rhode Island PBS production premiered. The documentary uses archival footage and interviews with survivors to convey the dramatic story. 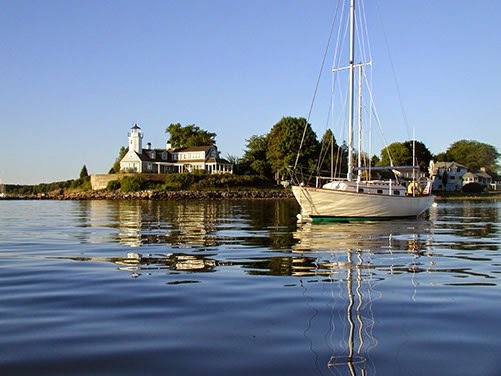 The local legends, historical happenings, and backyard secrets of North Kingstown, Rhode Island, are the focus of Our Town, a Rhode Island PBS community project. Rhode Island PBS proudly premieres the documentary Our Town: North Kingstown on Wednesday, September 2 starting at 8:30 p.m. Earlier this summer, neighbors in North Kingstown became storytellers and filmmakers to capture the stories they wanted to tell in Our Town: North Kingstown. These stories have been woven together into a visual tapestry of nostalgia, humor, enterprise, history, even a surprise or two, all representing life in North Kingstown through the eyes of those who know and love it. North Kingstown residents and friends involved in the production will be in the studio on September 2 to share their experiences while working on the project. 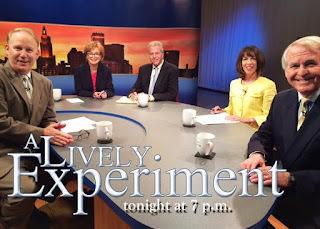 Volunteers will also answer phones during this fund raising special to benefit Rhode Island PBS. Among the stories that will appear in the film is a segment about North Kingstown Community Chorus. A small group of singers wanted to create a choral ensemble to do what they loved best - sing. Under the direction of a dynamic leader, the North Kingstown Community Chorus has grown to more than 100 members of all ages, and has now enjoyed three decades of performing. 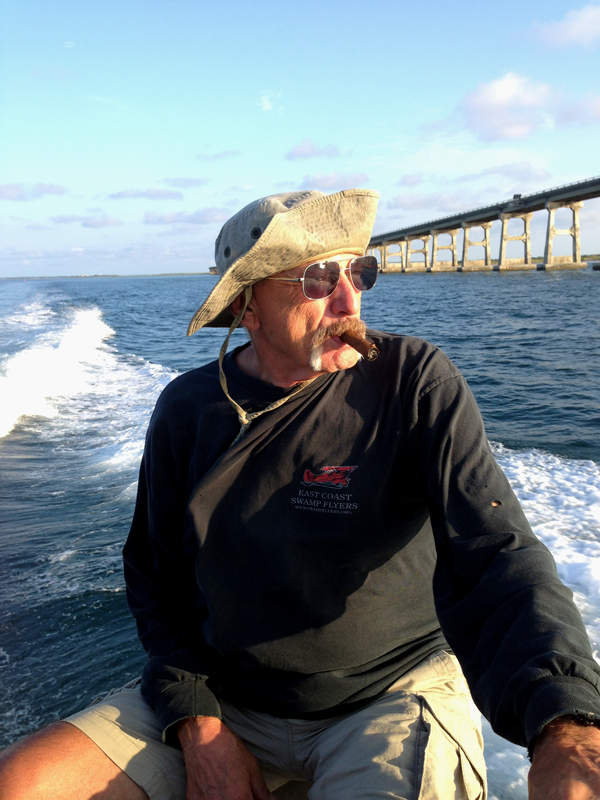 Old Salt is a segment about John Bradley, who rigs the sails and takes to the seas almost on a daily basis. He is also restoring an old sailboat to give him "the ride" he used to get from his old Scottie - his favorite boat - lost in Hurricane Irene. The restoration is a formidable task for anyone, but John Bradley sees it as an attainable goal, even as he turns 92 years young this autumn. In Papa Pilot, a grandson brings the heroic history of his grandfather to life, exploring how the naval pilot survived landing his plane on carriers at sea and how he and his crew mates plucked an astronaut from the Atlantic. Also, see how Quonset Point served as the elder's place of employment and enjoyment. 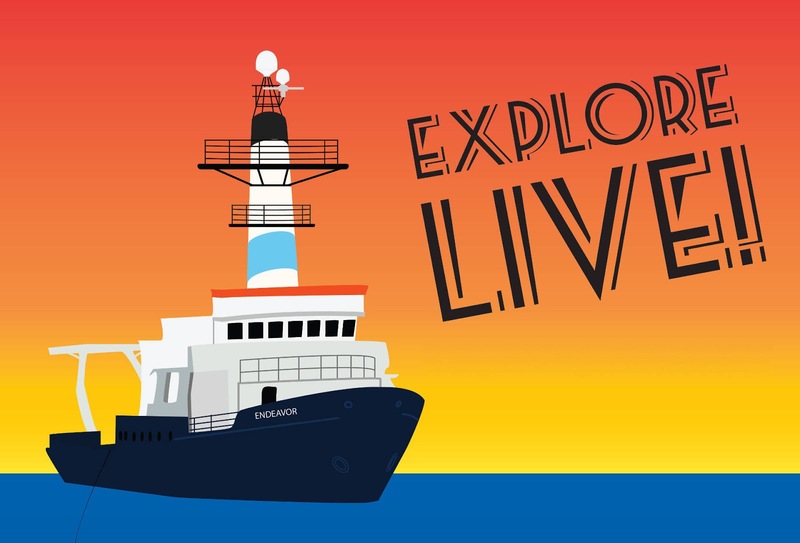 Viewers will also take a tour with the Harbor Master, the law enforcement official on water. Discover the range of his "beat" from Wickford to Jamestown and what challenges he encounters on the job. In Labor of Love, Paul DiBiase's morning starts early with sharp focus on the right type of grain. Local baker Paul DiBiase creates artisan loaves of bread the old fashioned way - with hand kneading and patience. In a segment about re-purposing the outdated to give it new usefulness, we trace the transformation of the Little Red Schoolhouse. For decades, the historic building served as the center for education in North Kingstown for decades. After harnessing generous community spirit, the building once again serves a crucial community purpose - providing food for those in need. Alvin Noss, turning 101 this year, lives in his childhood home in the historic village of Slocum. With his unique vantage point, Alvin Noss shares with viewers how Slocum has evolved and its important role to North Kingstown. And what would a visit to North Kingstown be without stopping by the "must sees" in town? Viewers visit the annual Wickford Art Festival, The Gilbert Stuart Museum, Smith Castle, and Historic Wickford Village. "It's been a great experience," said Margie O'Brien, producer of Our Town. "The warmth, hospitality, and genuine enthusiasm we were shown during this project was as inspiring as it was informative and entertaining." "The film does a great job showcasing North Kingstown's charm and natural beauty, too," said Jodi Mesolella, Our Town project director. "We're looking forward to sharing the stories of Our Town: North Kingstown with all of Rhode Island on September second." Part fund-raiser, part community builder, part historical and cultural documentary, and part "day-in-the-life" video scrapbook, Our Town: North Kingstown is the second documentary in the Our Town series. The first film, Our Town: Glocester, will be shown at 7 p.m. on September 2, just before the premiere of the new film. The purpose of the Our Town project is to share the charm and character of Rhode Island towns and villages - in particular, untold or uncelebrated stories that capture the essence of life in the town. Building community by enhancing connections and relationships between Rhode Island PBS and town residents, the stories are told by resident storytellers and videographers, who choose the stories they want to tell about their town. The role of Rhode Island PBS is to offer technical advice and then stitch together the stories into a one-hour film. Next in the series will be Our Town: Portsmouth, now in production and set to premiere in December. 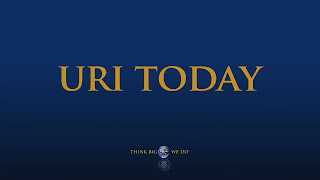 URI Today offers a new episode, number five in the series, on Sunday, August 9 at 6 p.m., part of the ongoing Rhode Island PBS series, Rhode Island Stories. 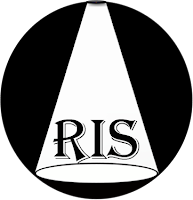 In one of this URI Today episode's three segments, meet the man behind the mic - the man for all seasons, Rhode Island Radio Hall of Fame member Jim Norman. 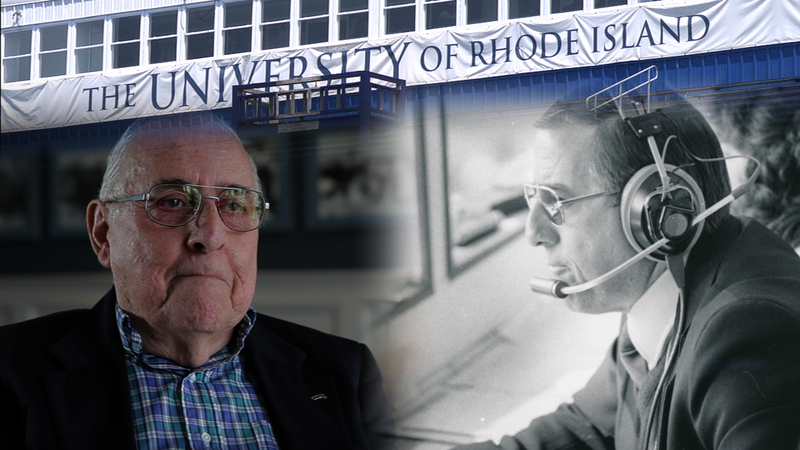 The voice of the Rams, he called 1,286 consecutive URI football and men’s basketball games in his 34-year career behind the microphone. Read more about Jim here. In the second segment, why would grown men and women chase horseshoe crabs in the moonlight? To study them, of course! The horseshoe crab segment focuses on URI faculty and students conducting late-night studies of the well-known armored creatures at Napatree Point in Westerly, where the animals arrive in early summer to lay their eggs. 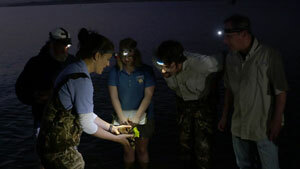 It will feature interviews with the researchers as they count and tag the crabs. Then, a five year journey has come to a happy conclusion on upper college road, and the opening of the Gender and Sexuality Center is putting the University of Rhode Island on the map as the first in the country. 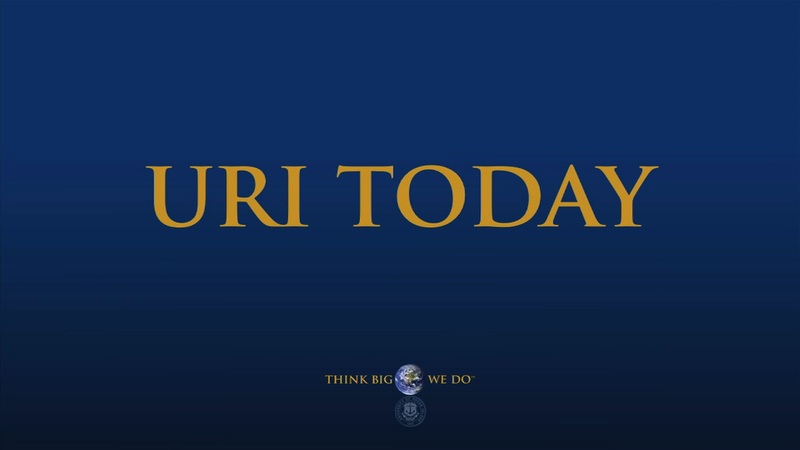 At 6:30, we encore the second episode of URI Today "The Science of Survival," which examines innovative work being done by the University of Rhode Island in immunology and ecology. The program explores the threat of Dengue fever and the search for a vaccine against this deadly disease. 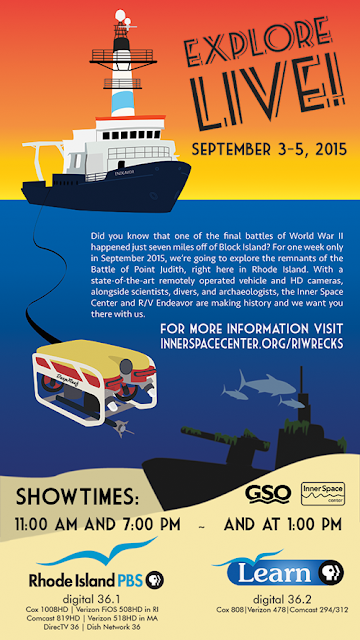 The show also looks at what role sea level rise may have played in the damage caused by Super Storm Sandy. The series is co-produced by the New Media unit of URI’s Department of Marketing and Communications and Ocean State Video. Every month volunteers help needy homeowners in South County with repairs and maintenance - a lifeline for some to stay in their homes. Neighbors Helping Neighbors RI provides the materials and the manpower at no cost, and has grown significantly since the effort began several years ago. 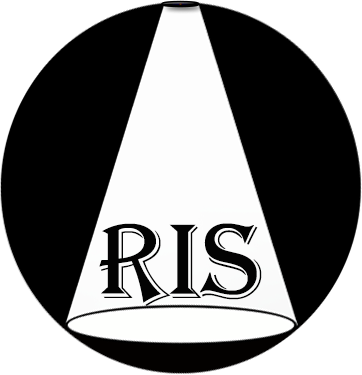 This month Jim Hummel and Rhode Island Spotlight interviews two leaders of the group, who talk about the impact the non-profit organization is having in the southern part of Rhode Island. 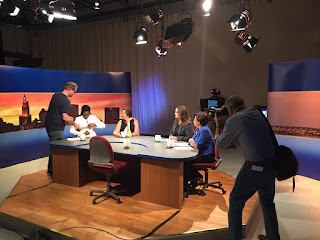 Helping Hands will air on Rhode Island PBS on Thursday, August 6 at 1:52 p.m. Despite all of the public education and shifting social mores, smoking is still attractive to some teenagers. And while Rhode Island has one of the lowest smoking rates in the country for young people,the Department of Health has launched an initiative aimed at helping 13-18-year-olds stop using tobacco: an interactive texting program that’s the first of its kind in the country. 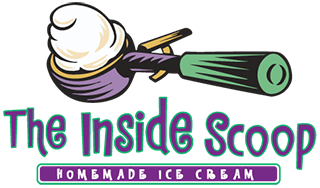 Sat 8/08 at 9:46 p.m.
Tue 8/11 at 2:23 p.m.
Tue 8/11 at 9:52 p.m.
Rhode Island Spotlight for more information about this and other stories about people and organizations that are making a difference in our community. Summertime can be especially challenging for those in need of blood and of food because regular donors are on vacation. You are invited to help ease the shortage! Rhode Island PBS, the Rhode Island Blood Center, and the Rhode Island Community Food Bank are proud to partner to create this special summertime giving opportunity to enable us all to better serve the community. With two ways to give, please come donate a pint of blood and bring a non-perishable food item. And even if you can’t give blood, your food donation is most welcome! Rhode Island Community Food Bank staff will be on hand to give tours of the Food Bank and gratefully accept canned goods and other non-perishable food to help feed the 63,000 Rhode Islanders who visit various food pantries across the state every month. Your gift of a food item will help the Food Bank reach their Summer Food Drive goal to collect 150,000 pounds of food by August 31. 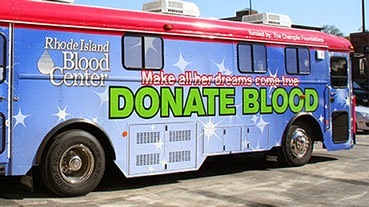 In 2015, the Rhode Island Blood Center celebrates 36 years of supplying hospitals and patients in Rhode Island and nearby Massachusetts and Connecticut with lifesaving blood components. Over the past three decades, much has changed in blood banking and transfusion medicine, but the fundamental concept of volunteer blood donors providing the gift of life for patients in need is as important as ever. 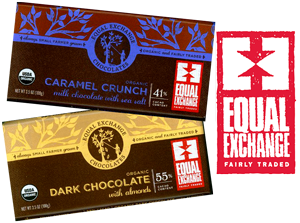 Beyond the personal satisfaction of making your life-giving donations on August 27, you’ll also receive organic, fair trade chocolate courtesy of the local Equal Exchange Cooperative. Now, that's a sweet incentive! We appreciate and welcome participation by employees and patrons of local establishments in the Cranston Business Park and in the greater Niantic Avenue / Cranston Street areas. Please contact Rhode Island PBS (401-222-3636) if you'd like a simple 8.5" x 11" paper poster to display in your business for your staff and customers. Thank you! So, give the gifts of life - give blood and give food - because these needs don't take a vacation. • Blood donors must be at least 16 years old. • Parental consent is required for blood donors age 16. • Minimum weight for donors 17 years and older is 110 lbs. Minimum weight for 16 year olds is 130 lbs. • Photo ID required for ALL blood donors.